Why do I choose to work with women? From being a child I always marvelled at the way women coped with things that happened in their lives. I met some strong women both from the Caribbean and gritty Northern women that coped with all adversities life threw at them. If I take my own mother for instance who struggled on to bring up 8 children whilst living with domestic violence in the home, she managed to keep a roof over our heads and made sure we went to college and were financially educated, (even more so with the girls). I think all women are amazing just the things we have to go through from puberty to childbirth to menopause plus all the pressures of being a woman in today’s society to look good, fit in, have a great career, intelligent children, loving supportive partner etc. I also think we as women need other women to talk to, share ideas, inspire and support each other. Like a sisterhood. 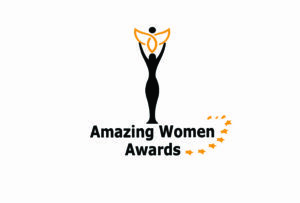 Why did I start the Amazing women Awards? With the #Metoo movement and companies under pressure to demonstrate gender pay parity, never has an event like this been so timely. During 2018 women from all over the world were contacting me asking when the next event was and that they had someone they wanted to nominate. What is a typical amazing woman? 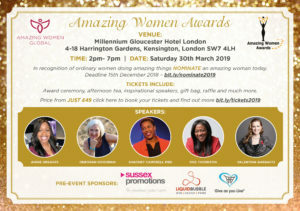 An Amazing Woman Award is for unsung heroines, it’s for all those women tirelessly working away in the background that otherwise go un-noticed, women who are making a huge difference to society or impacting on their community and quite often working on very little or no budget. 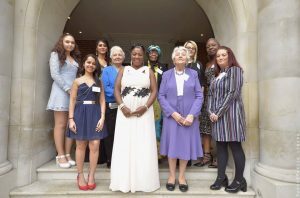 Our amazing women have probably never won an award before or been publicly recognised for their achievements. Maybe you know someone who is passionate about a cause, battled against adversity and constantly helping others. It could be your sister, your partner, your cousin, your mother, your best friend, your neighbour, a mum at the school gates, the volunteer at your local charity. How many nominations have you received? For the 2017 event we received 140 from 5 different countries. When and Where will it be held in 2019? The early bird tickets are £49 + booking fees and can be found on Eventbrite. Early bird expires on the 22nd February 2019, the price then goes up to £69. (please note we cannot offer refunds but you can give your ticket to someone else). The 2017 event sold out 2 week before. What is on the agenda for the event ? We are hosting the event over afternoon tea. Aswell as the AWARDS ceremony we will have a range of inspirational speakers, raffle, goody bags stalls and much more. Sussex Promotions have sponsored the actual awards we will be giving out to the ladies. We are always seeking other sponsorship items such as the goody bags, items for the raffle and audio/ visual costs.